[New for 2018] When you are trying to keep your business viable and growing and you see a new trend popping up, what do you do? Do you wait for the trend to pass by like so many trends before it, or do you try to steal a little piece of the pie with a new line up? In general, you give it a shot, and that's where Moo-phoria comes in. 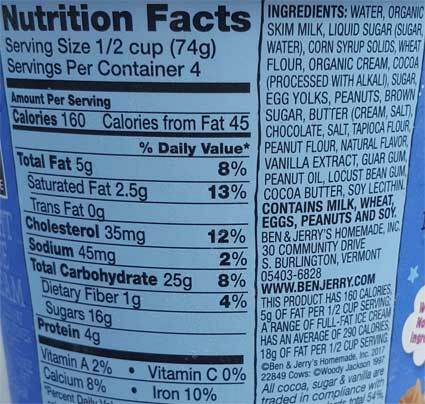 Ben & Jerry's has dumped a bunch of calories and fat without resorting to sugar substitutes. On paper, it sounds like a winner. Can I just cut to the chase please? I didn't like this at all. It's nothing but chocolate on top and the chocolate is not my style at all. I've had other flavors with a similar chocolate flavoring and I didn't like them either. It comes across totally wrong. The texture? 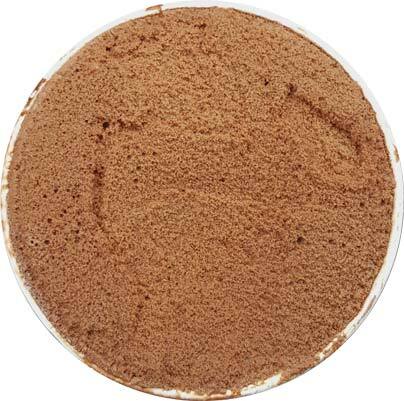 It reminds me of a chocolate sorbetto. That's not the worst thing in the world, but it doesn't make a whole lot of sense. Just like their froyo is more like light ice cream, their light ice cream is more like sorbetto and that's just odd to me. But wait, I hit the chocolate chip peanut butter cookie dough! Yeah, it's not helping. I ran in to a cluster of them here and they aren't good. I'm sure some people like this particular peanut butter flavor profile, but I am not one of them. I want something that tastes like those sweet peanut butter cookies that have the hershey kiss pushed in to them. This ain't them. It's not worth pushing through the odd base just to get to an odd mix-in. So yeah, pretty terrible first impression. I bought this pint for lunch (meaning I was starved) and I didn't eat more than a serving. I'm going to give it the weekend and hope for a better impression on Monday. On Second Scoop: I went in to this scooping with lowered expectations and a decent appetite and the ice cream still failed me. I'll be honest. I hate this ice cream and I can't remember the last time that happened with a Ben & Jerry's flavors.... actually, I can. Remember flipped out? Yeah, the unpleasant flavor profile reminds me of those way too much. I like that they tried something different here, and I will try at least one if not both of the other Moo-phoria flavors, but this was an epic fail. I know "thrown out" is said figuratively sometimes but I literally threw this pint out instead of putting in back in the fridge. That's how bad I think it is. How disappointing. I thought this was going to be a winner, too. Do you think this trend will last longer than the Greek Froyo trend? Not at all surprised by your assessment. Trying it was not a priority for me anyway. @stride: do you mean the overall trend or just for B&J? We've always had a "healthy" alternative, it's just a question how long this particular trend inside the healthy segment lasts. In general it's usually short lived, but this trend seems bigger than usually (though whether it's real or just amplified by social media has yet to be seen). 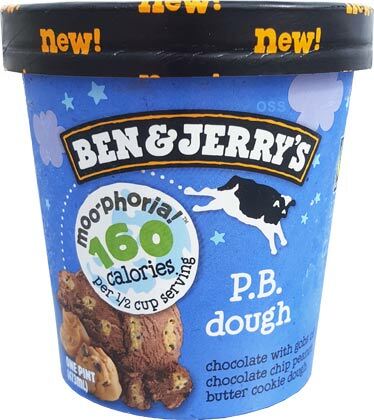 As for B&J, if the next pint of moo-phoria is terrible, yeah, I would expect this lineup to go away. Junk Banter enjoyed his free samples so maybe the next pint will go better. I personally am going to skip this trend. It holds no appeal to me. I'd prefer to watch my portion sizes. I tell you what I had last night where I got AWESOME peanut butter taste....Haagen Dazs decadent banana peanut butter chip ice cream. It was SO GOOD. I want to find the other decadent flavors now. My kids loved it too. We wiped it out fast and plan to get more. @Anne: HA! I have the review for that in the queue, and yeah, that swirl is excellent. It's hard to eat that pb swirl and then a couple of days later try this pb cookie dough. Night and day in my mind. What's odd is that there are some really good "light" ice creams that have been around a long time by the cheaper brands(edy's, blue bunny, etc.) just not in pints and just not promoted to death, and then ben and jerry's, which makes the expensive stuff, can't get it right. Despite this flavor being a bit of a failure, I can't wait for reviews of the other recent B&J's products. The health angle aside, I can't grasp paying the same cost for a lesser quality product from B&J. I usually up to try anything but these won't be a candidate for purchase. Dubba, I was referring to B&J only. I agree with you - this trend does seem bigger than other trends, especially the Greek FroYo trend, since more companies seem to be participating in this trend of low calorie "ice cream". "Chocolate Shake It" and "Gimme S'more" are on my wish list. Haven't seen either in a grocery store nearby yet but I'll be making some calls soon. Sorry but for the macros this pint was amazing, sure you can't compare it to the full fat stuff but it's similar to Dreyers extra churned base with a great amount of mix-ins. No need to apologize on either of our parts, I'm glad you enjoyed it, many will, I just personally hated it which was weird because that almost never happens with B&J's. Speaking of greek froyo, whatever happened to Turkey Hill's Baklava Greek Frozen Yogurt flavor? That flavor was AMAZING and vastly underrated. I can just buy an entire half gallon (or 3.74567 quarts or whatever) of Turkey Hill for the same price if I want 160cal per 1/2 cup ice cream with some mix-ins. Man, this just makes me even more bummed that "slow churned" failed to launch when it came to premium ice creams that didn't have premium amounts of fat and calories. I wept when Häagen-Dazs Light was retired. It's hard to believe it's only been about a decade; it feels like an eternity. Such a nice compromise in terms of no sugar substitutes yet still almost the same creaminess as the full fat versions. I particularly miss the mint chip. It had such a nice, clean mint flavor that I actually liked better than the non-light version. That one just tastes far too eggy to me. And their light rocky road was a good chocolate option. The slow churned technology seems to stay alive when it comes to regular ice cream, though. Perhaps this is the time for it to come back? 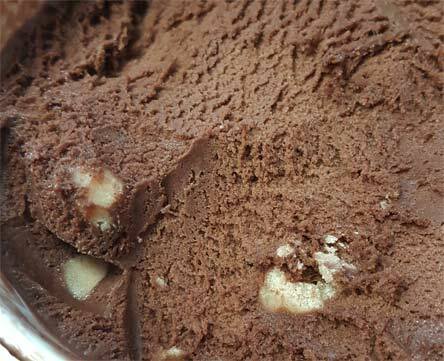 Speaking of which, how is the B&J Moolicious ice cream made? 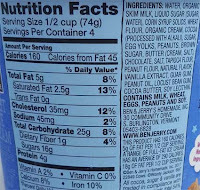 I keep finding stuff about what is not in it (sugar substitutes, etc. ), but not about how they do make it. I just had this and loved it. That's fine, we are all different. Please feel free to share more specifics about your pint.